Famous faces recreate their childhood holidays. 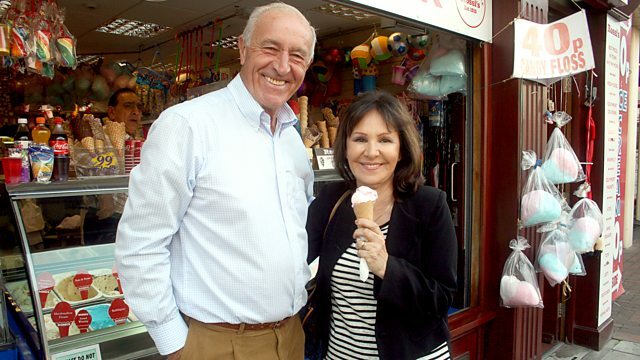 Len takes dancer and choreographer Arlene Phillips back to Southport in Lancashire to reminisce about her 1954 seaside holiday. In this journey through time, Len Goodman takes dancer, choreographer and his old pal from Strictly Come Dancing Arlene Phillips back to Southport in Lancashire to reminisce about her seaside holiday from 1954. Len surprises Arlene by picking her up in a Talbot Sunbeam, and they drive to the actual house she stayed in. They reminisce about her time spent with her family and dance in the garden, where Arlene admits that even as a young girl, she was prone to a few diva-style tantrums. The friends take a ride on the Southport Pier train and dance along the beach, where Arlene talks to Len about her career with some of the world's A-list stars like Elton John and Whitney Houston. They shop in the world-famous Lord Street, where Arlene's love for clothes began, and they discuss their time together on Strictly Come Dancing.